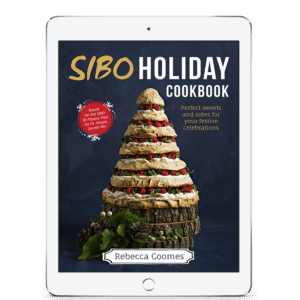 Learn to cook delicious SIBO friendly food for Christmas with your host Rebecca Coomes. Watch as she shows you how to whip up delicious recipes no matter what your dietary restrictions are. Get 8 sensational SIBO recipes that you can use this Christmas. Tune in from anywhere in the world for this fun, interactive and online cooking class. Wondering if the class is for you? Hit play to see what you get in a SIBO cooking class. You're feeling overwhelmed and don't know what to eat this Christmas. You feel nervous about what you can, and what you can't eat on a SIBO diet. You feel stressed and wish someone could give you some easy recipes to follow. You want to have fun this Christmas and enjoy delicious food. PLUS Get a Holiday eCookbook FREE just for signing up! You deserve to eat well with SIBO. Here's how this online cooking class will help. Don't feel overwhelmed a moment longer. 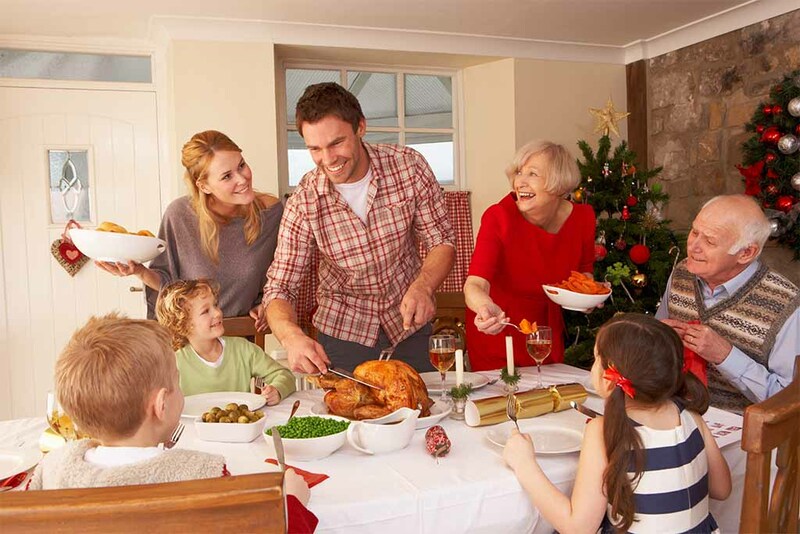 Enjoy Rebecca's delicious SIBO friendly Christmas recipes today. Tune in live and enjoy the interaction with Rebecca and other SIBOers who are tuning in. Rebecca will provide substitutions for various food intolerances, so you can be sure you'll get a great variety of recipes that you can eat. Rebecca holds a live Q&A at the end of the class. Ask her all your SIBO cooking related questions. Loved that it was interactive. Recipes easy to follow. Rebecca was so engaging. I really enjoyed the class. I really miss the desserts in my life and I now have options for goodies in the future. Rebecca is so inspirational. Gives me hope I will get well and be able to enjoy life again as before SIBO. Good variety of recipes; explained very well; love that Rebecca also included alternatives for certain ingredients to cater to different needs. Thanks so much for a great class! Very helpful! Loved Rebecca's interaction with us! And all the little tips she shared as she cooked. Why: Because you deserve a delicious SIBO Christmas! Rebecca loves her crock pot. She shows you how you can create delicious meals in an instant that save you time and money. Breakfast can be the hardest meal of the day to cook for when you have SIBO. Rebecca shares her favourite breakfast recipes so you'll be fuelled and ready to tackle the day. Finding it hard to find snacks to keep you going inbetween meals? Rebecca will show you a variety of snacks you can whip up in no time. Are you managing multiple food restrictions? Rebecca shares how you can eat for SIBO and an autoimmune protocol with this tasty range of meals. When I was first diagnosed with SIBO I felt completely overwhelmed. I had no idea what I was supposed to eat, as I had already been living on a very restricted diet for years. I felt completely lost and confused. I spent hours on the internet searching for recipes, but none were quite right for me. There were days when I wanted to give up. I didn't have the energy for meal planning and cooking. SIBO left me feeling exhausted and the last thing I felt like doing was hitting the kitchen for hours at a time to cook my special food. I just wished there was someone I could turn to who knew exactly what it was like to live with SIBO, who could show me what to eat and answer all my food related questions. That was 3.5 years ago. Since then, I've improved my health enormously and now am passionate about helping people just like you love food again. Food is our life source. We need it to heal and return to health. I've spent countless hours creating recipes so you don't have to. I know exactly what it's like to feel completely overwhelmed with this condition, which is why I'm here to help you. I am that person for you that I longed for. I've lived and breathed SIBO and have helped thousands of people eat delicious food and stay compliant with their SIBO diet. People regularly tell me that I've changed their lives, that my recipes have been their saving grace and have turned their fear of food into a love of food. If they can do it, I know you can too. My recipes get results - and I'd love them to help you too.